and August's kit is now ready! 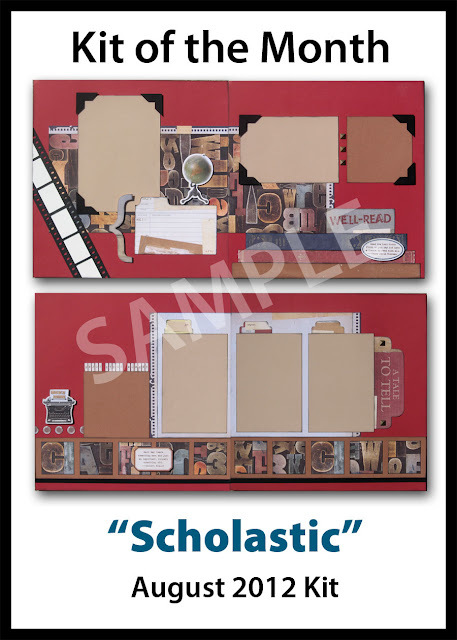 Each kit is designed by me and includes beautiful Close To My Heart cardstock-thick, double-sided papers, coordinating embellishments, photos and instructions to make four scrapbook pages. I tend to throw in some extras too, like cuts from either of Close To My Heart's two exclusive Cricut cartridges: Art Philosophy and the new Artiste. Kits are $20 each (plus shipping) and ship the first week of each month. Members sign on for a 12-month cycle, secure a payment plan, and then sit back and relax while I handle the rest. I've done all the design work, created an easy-to-follow cutting guide, and also supply additional photos so members can see all the close-up details. The pages come together in a snap! Kit of the Month Club program!